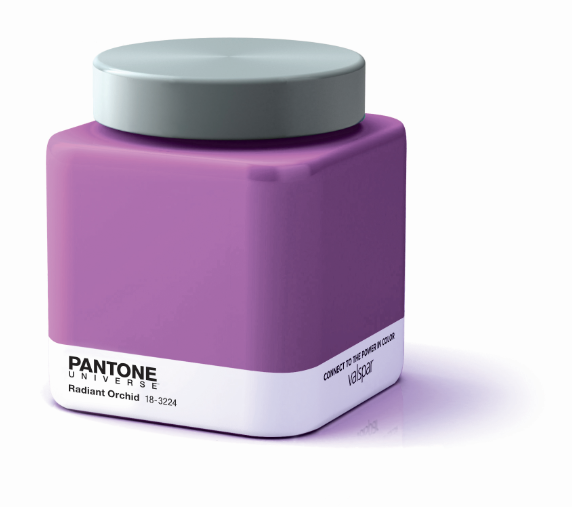 If you follow the world of design, you most likely heard Pantone’s big announcement in December: Radiant Orchid (Pantone color 18-3224) is the official color of 2014. 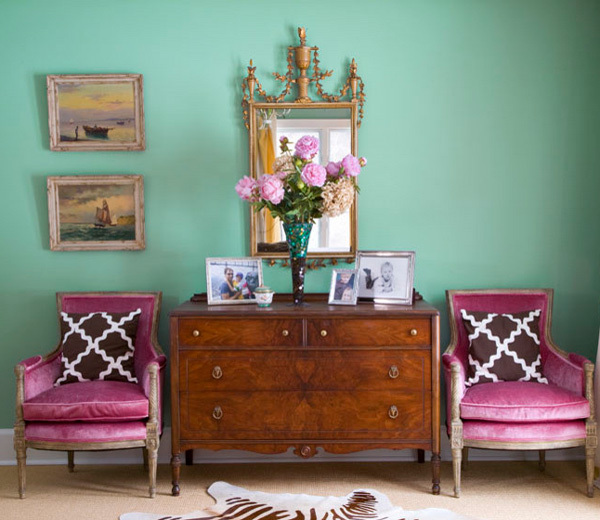 Pantone’s 2013 color, Emerald Green, symbolic of growth, renewal and prosperity, has retired to make way for an enchanting blend of fuchsia and purple with pink undertones. The complex color, described as beguiling, captivating, and magical, was chosen for it’s ability to inspire creativity and innovation. 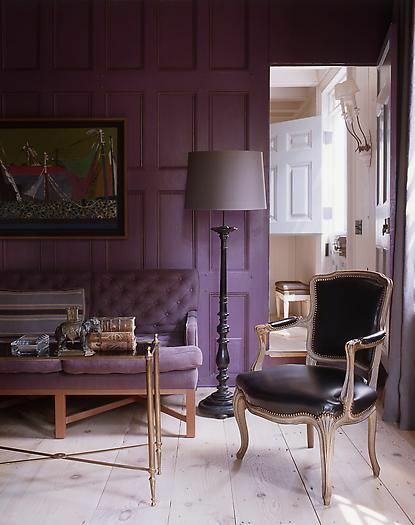 A historically significant color, purple is familiar to the eye, yet atypical and unexpected in interior design. 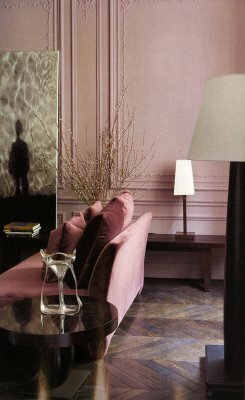 Purple is a color that inspires either love or hate, and thus tends to be used sparingly and with great intentionality. I’ll admit, I was not all that excited about Radiant Orchid when I first heard the news. 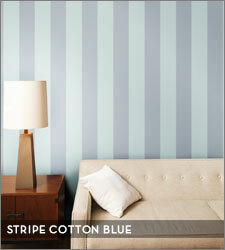 However, just as Pantone predicted, it has grown on me. 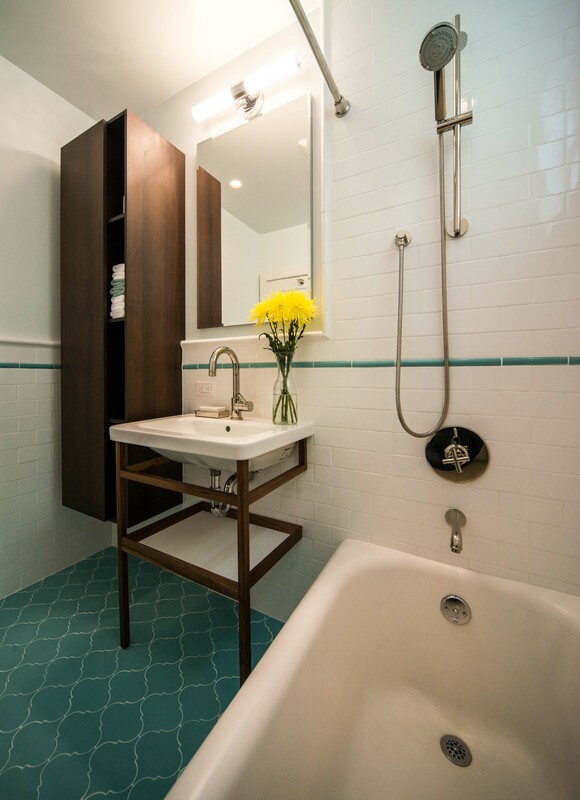 When used correctly, it can add originality, beauty and vitality to a space. 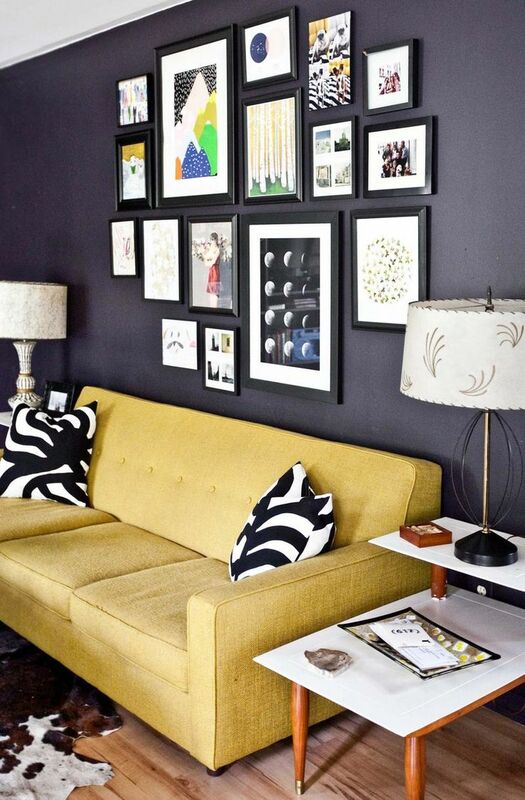 The simplest way to add a new color to your home is by painting the walls. If you choose to go this route, Radiant Orchid is an appropriate choice for the soft, feminine aesthetic of the bedroom. 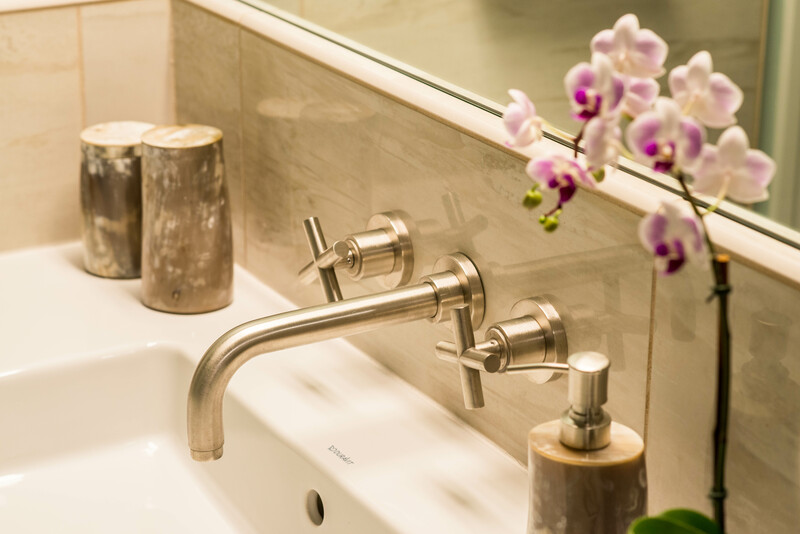 For a clean, classic look, pair it with white and other neutrals. 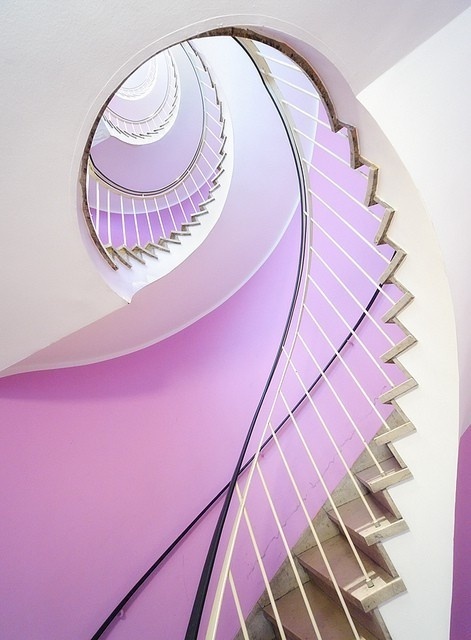 If you take a more daring approach to color trends, make Radiant Orchid a focal point by using it in a high traffic area of your home, as exemplified in the stunning stairway image below. 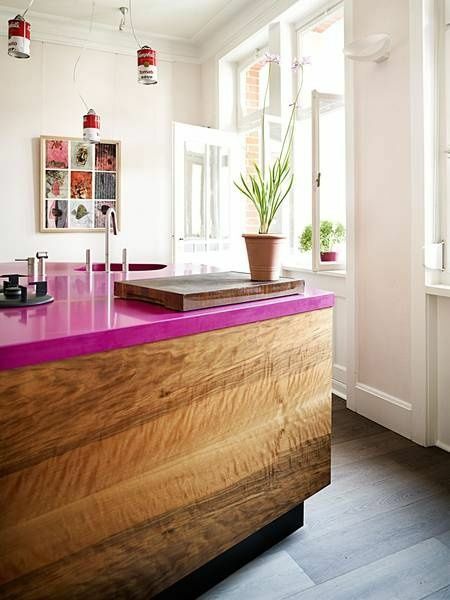 Given the unique nature of this pinkish-purple hue, I prefer designs that take a more creative approach than basic wall paint. 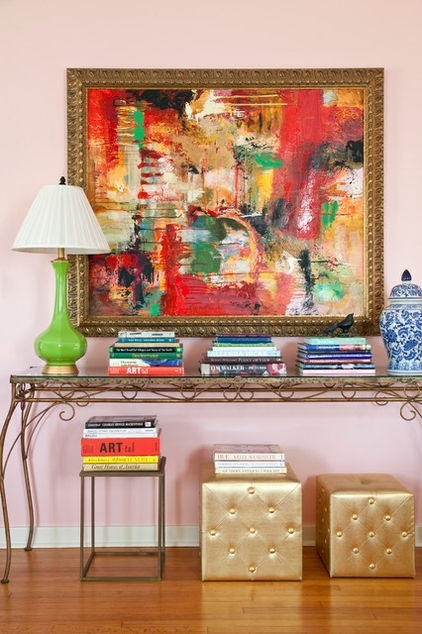 I love the way Radiant Orchid adds energy and interest to a room when used as a bold accent color, in artwork, or in a striking and unusual pattern. 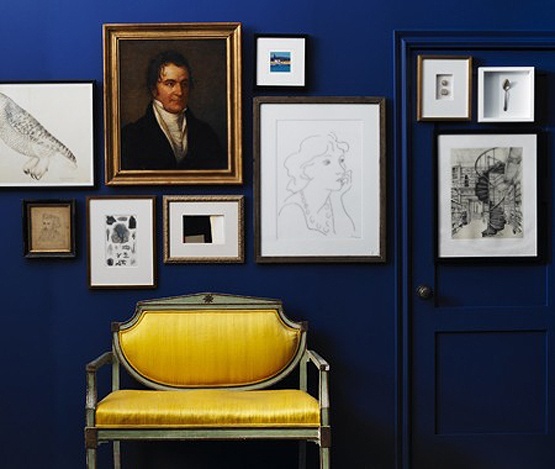 Of course, it’s not realistic to overhaul the color scheme of your home every year, no matter how alluring Pantone’s latest selection may be. 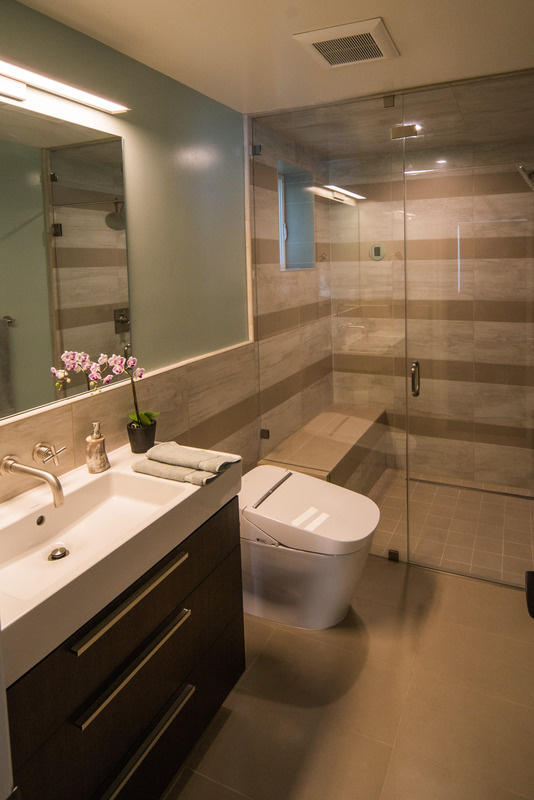 If you’ve been dreaming of incorporating lavender into your home but you just haven’t had the courage or inspiration, then now is the time to go for it. But if you simply want to dabble with Radiant Orchid during it’s moment of glory, I suggest you buy an actual orchid and enjoy it while it lasts. 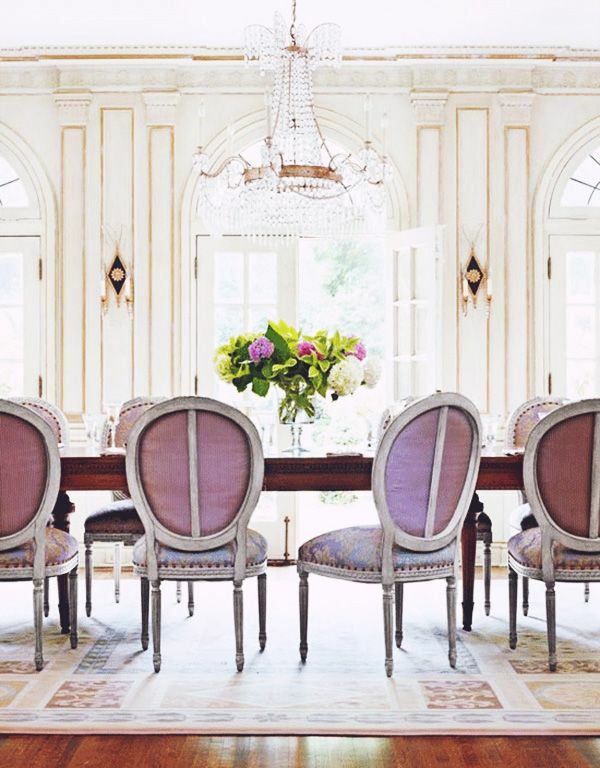 Ever since spotting this photo on Pinterest last Fall, I have been daydreaming about this room with it’s charming wood paneled walls painted in pink ombre. It’s the kind of space where I can imagine myself doing utterly relaxing, feminine things, like painting my nails whilst sipping lemonade and flipping through a magazine. 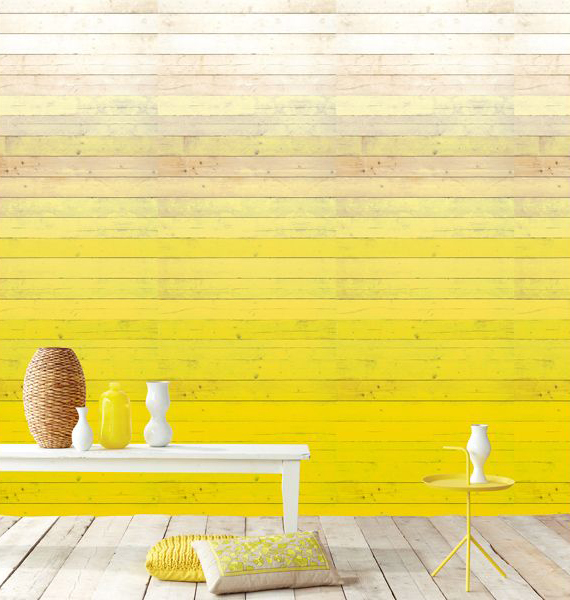 So imagine my surprise when I was reading the latest issue of House Beautiful (February 2014) and discovered that this wall was created using wallpaper produced by a Dutch company called Eijffinger. 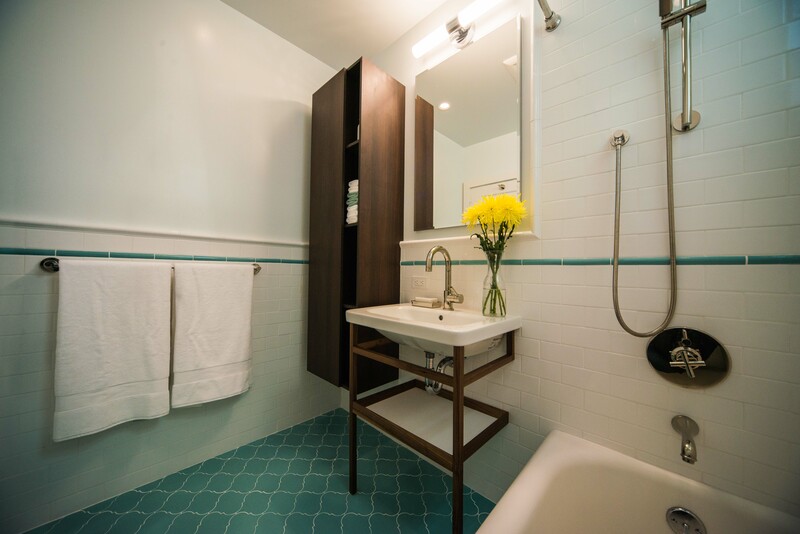 Not only does the wallpaper method sound easier than adjusting the tint of your pink paint one wood panel at a time, but it also makes the look accessible to those who don’t have wood panel homes. It would be especially lovely in a sloped attic (imagine a sunny office or a little girl’s playroom up there!) or a sunroom, or even just a cheerfully casual kitchen. 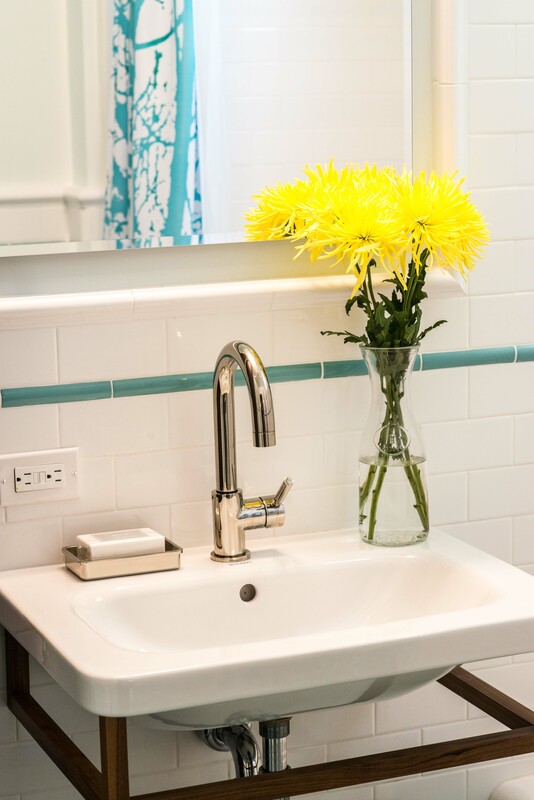 Better yet, this beachy style is available not only in pink, but in yellow, too. Visit http://www.brewsterhomefashions.com, or follow this direct link to the Degrado Ombre Painted Wood page on their website for more details. The suggested retail price is $240 per roll, but you can start by ordering an 8″ x 10″ sample for just $1.99. 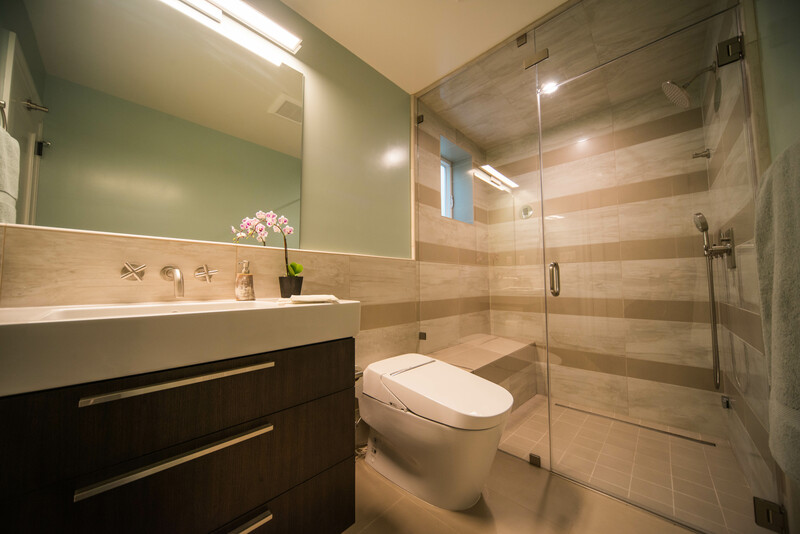 They also offer tools to help you find a local retailer and to calculate the quantity your space requires. 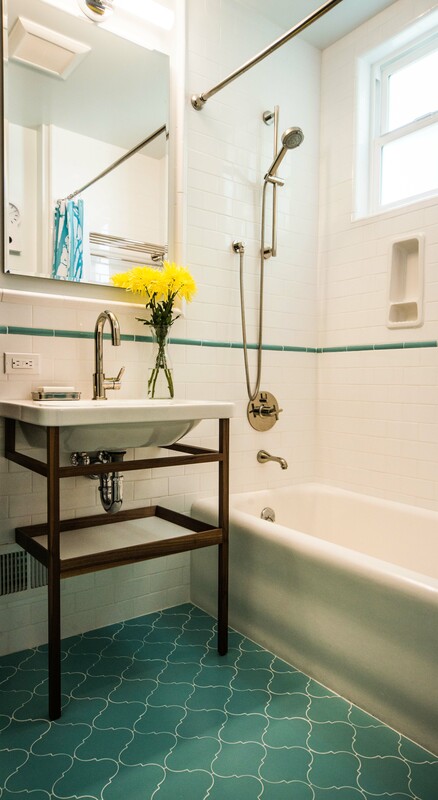 Get ready to enjoy some beachside charm year round! 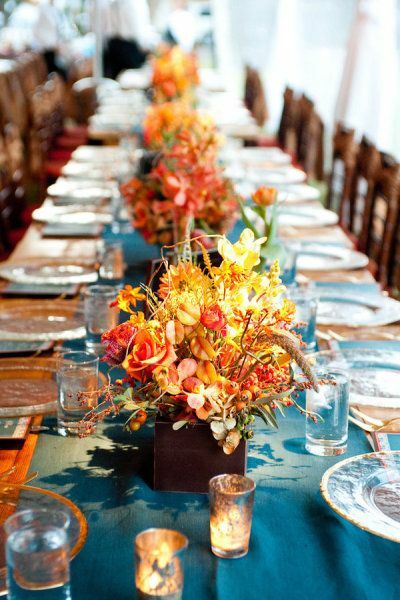 In my dream world, my fall-inspired Thanksgiving table would look something like this: aglow with candle light, flowers the color of fallen leaves, pops of teal and green, and furniture with rustic charm. 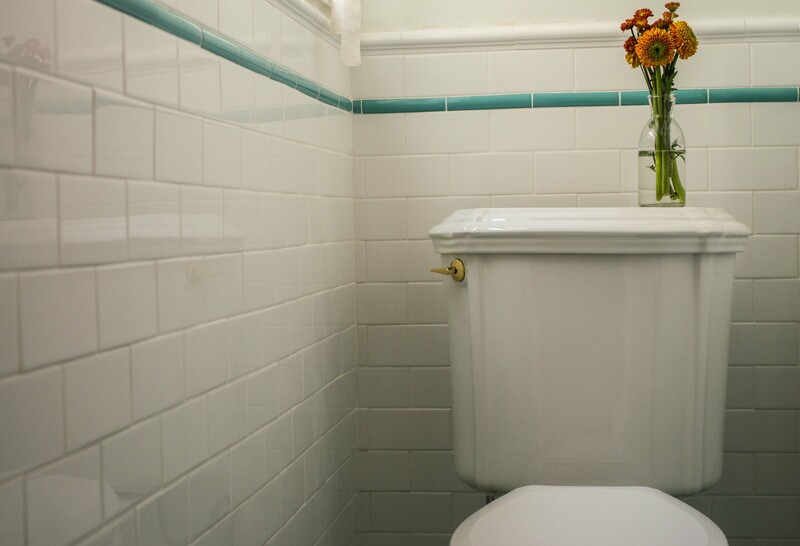 I absolutely love this idea, and it is definitely a DIY project I can handle. 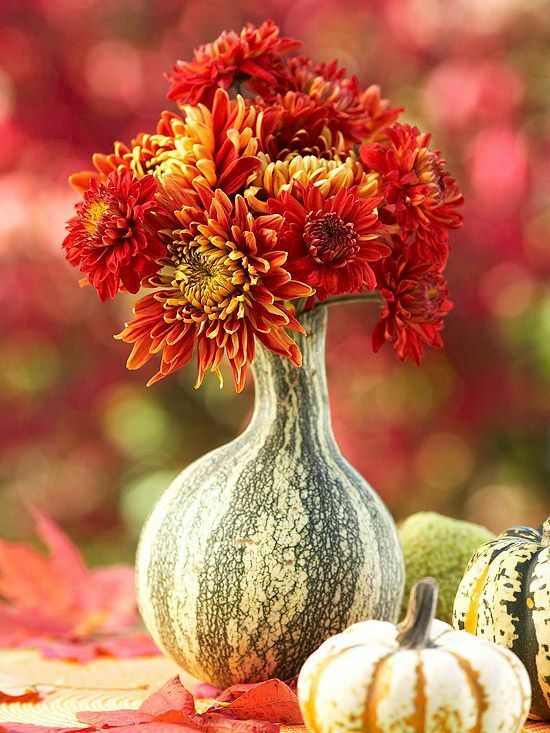 Although I’m not a major do-it-yourselfer, I can totally envision my 2-year-old daughter and I selecting an assortment of mini pumpkins for this colorful arrangement. Hollow them out, drop in a votive candle, and voila… a colorful, easy, affordable, and completely pilgrim-appropriate tabletop scheme. Like the previous idea, this one also involves hollowing out a few mini pumpkins. Stuffing each pumpkin with marigolds is a bit more polished and sophisticated than the candle idea, but still quite simple. 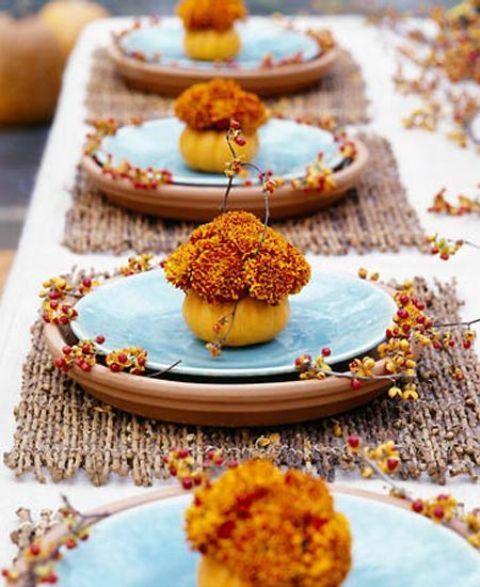 Even if you don’t have twig-placemats and blue ceramic plates, marigold-stuffed-pumpkins are sure to complement a variety of settings. Depending on where you live, the branches and red berries can likely be found in your own backyard or a nearby park. I imagine that a bit of water in the base of the pumpkins helps keep the flowers looking fresh, particularly if your feast tends to run behind schedule like mine does. 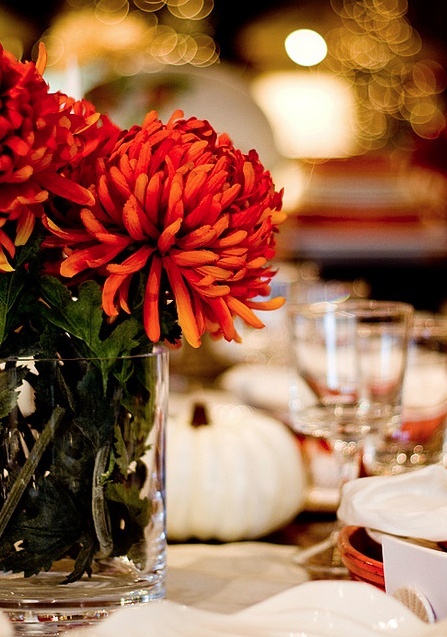 The contrast of these white pumpkins against the oranges and reds of the tablecloth and flowers (mums, if you are wondering) is quite lovely. Painting pumpkins white is another DIY project that I could turn into some quality craft-time with my toddler. 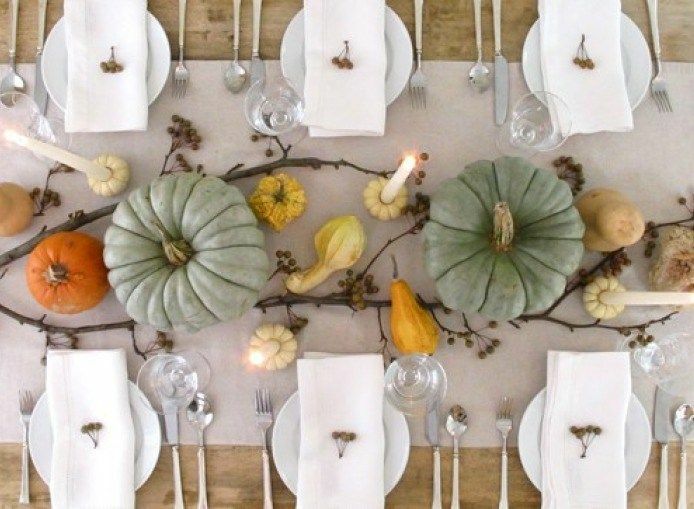 This tablescape looks fancy, but it is really quite simple. You can probably find an equally diverse assortment of pumpkins and squash at your local grocery store or farmers market. 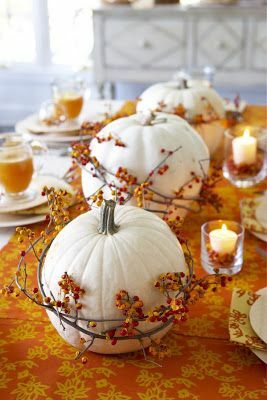 The center of the miniature cream-colored pumpkins have been hollowed out to hold elegant tapered candles. (For step-by-step instructions on how to do this, click the Jenny Steffens link below in the Photo Credits.) The brown berries placed on each white napkin are a nice touch. Last but not least, this goard-turned-vase is charming and creative. To achieve this look, simply slice off the stem and widen the opening with a knife. So, do you have a favorite? 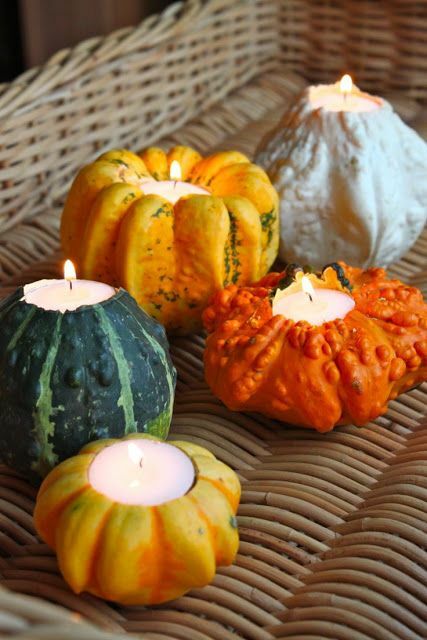 My daughter will be decorating kraft-paper placemats for our table, so I think the mini pumpkin candle holders will be the best choice to complete our Thanksgiving tablescape. 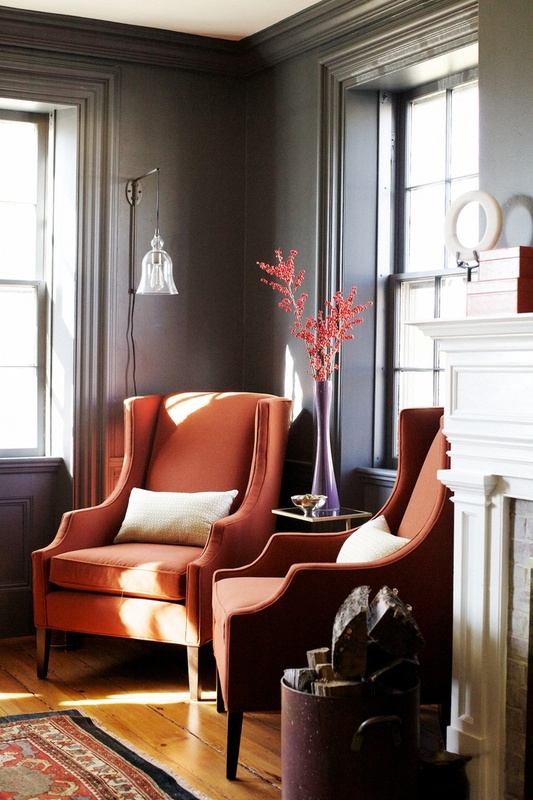 Image Souce: Style Me Pretty, Revel Blog, Pinterest, Your Cozy Home, Pinterest, Jenny Steffens, Better Homes & Gardens. 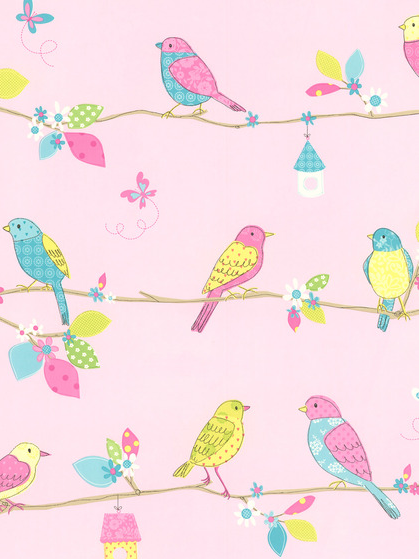 I’ve been noticing a lot of pink in home decor lately. 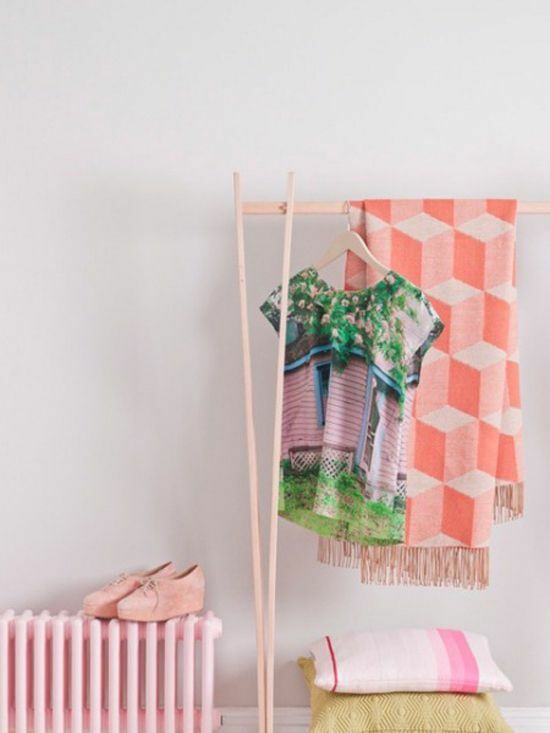 I’m not sure if I’ve been noticing pink because it is a growing trend, or if pink rooms simply catch my eye because I think they are pretty. Regardless, this lovely color deserves a shout-out. 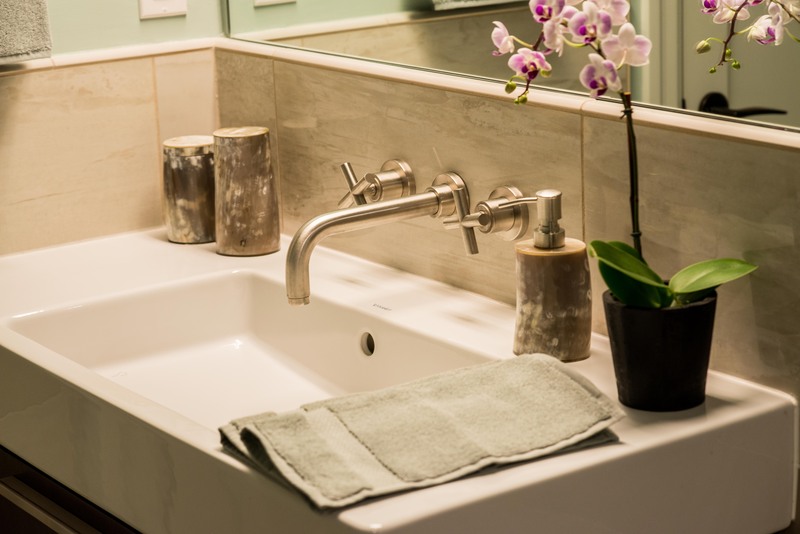 Often overlooked as too feminine, girly, or childish, pink rarely plays a prominent role in home design outside of little girl’s bedrooms. However, one look at the images below and I think you’ll see pink as a diverse color worthy of attention. 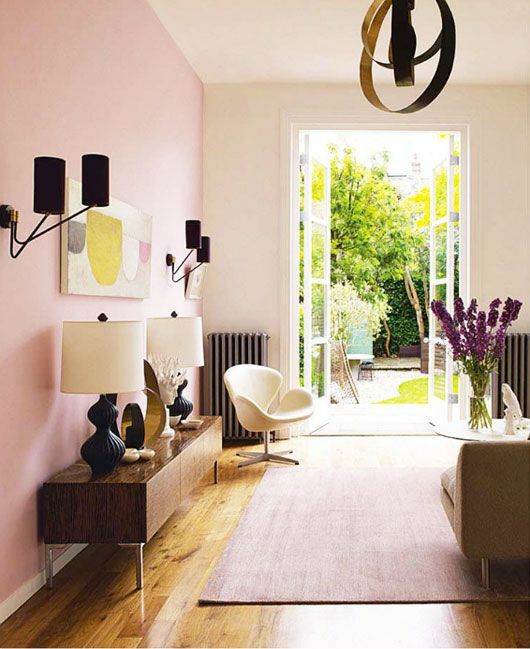 Whether soft and sophisticated or bright and playful, pink adds an unexpected freshness to the home. So, what do you think? Is pink fabulous or too feminine? You know my vote, but I’d love to hear yours. 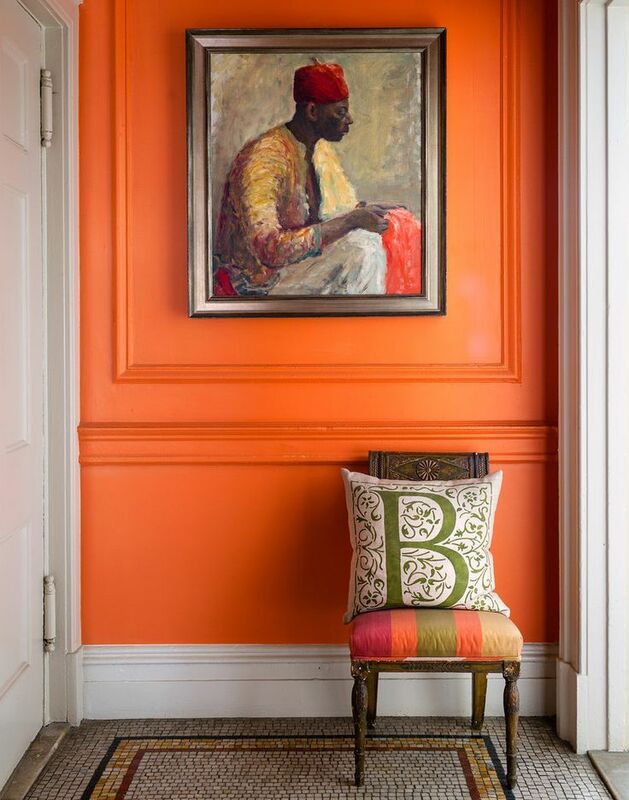 I love patterned walls, but as a renter, I have long been stuck with dull, boring off-white walls in every room of my home. From New York’s East Village to the Upper East Side, and from Roosevelt Island to Lafayette, California, these plain walls have followed me. 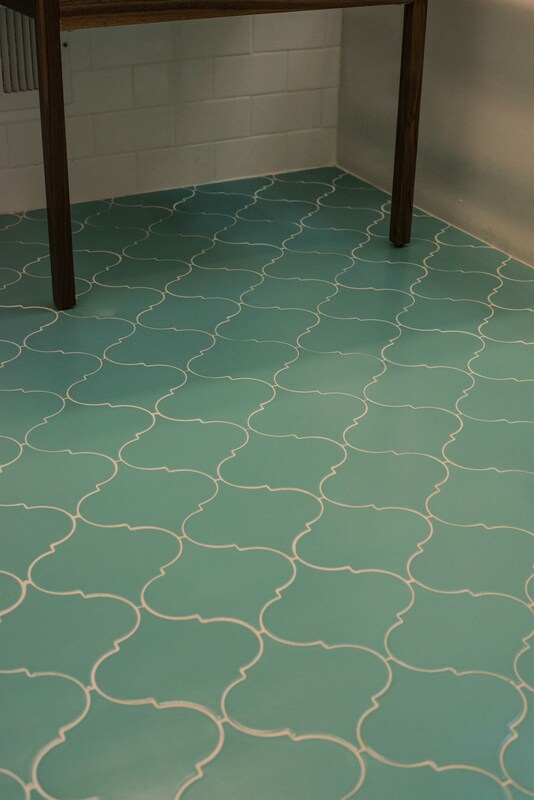 Imagine my excitement when I discovered the growing trend of Peel & Stick Wallpaper. 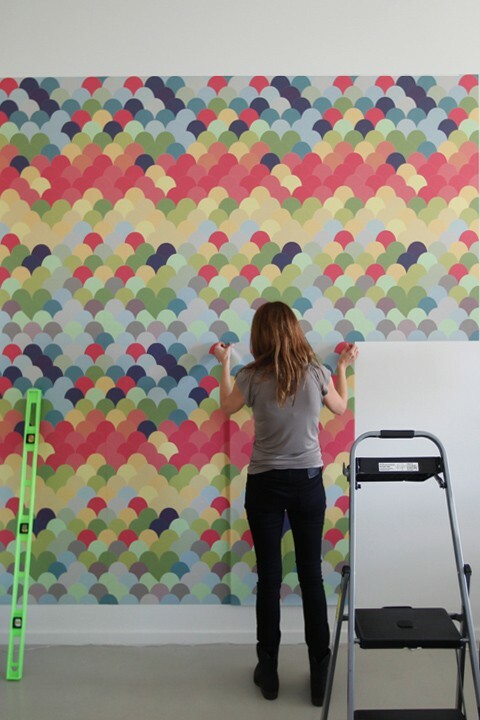 Perfect for renters or anyone else who wants temporary, easy-to-install AND remove patterned wall decor, peel-and-stick wallpaper is constructed with the same adhesive backing that we usually associate with wall decals for kids rooms. A quick search online will present a number of manufacturers and styles, ranging from childish to sophisticated, neutral to edgy. 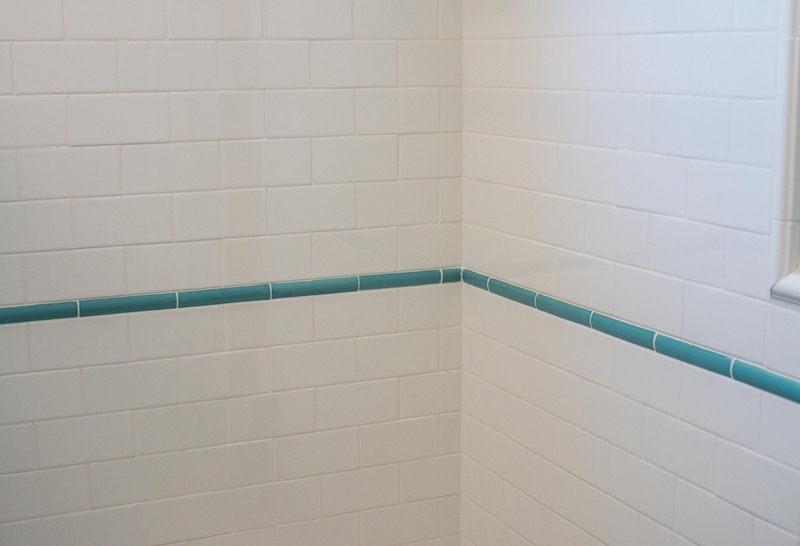 My personal favorite among all the patterns I’ve seen, the Fishwall pattern wall tile from Blik is vibrant, colorful, and modern. 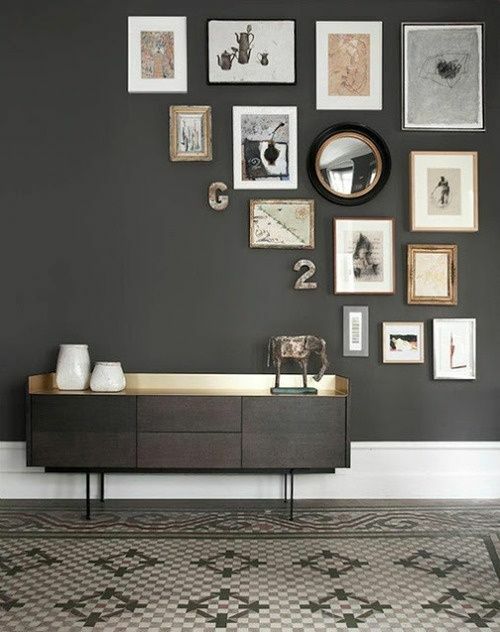 Although it might be a bit overwhelming if applied to every wall in the room, it is perfect for an accent wall. Goodbye boring! For $45.00 you get two 28″x48″ panels. 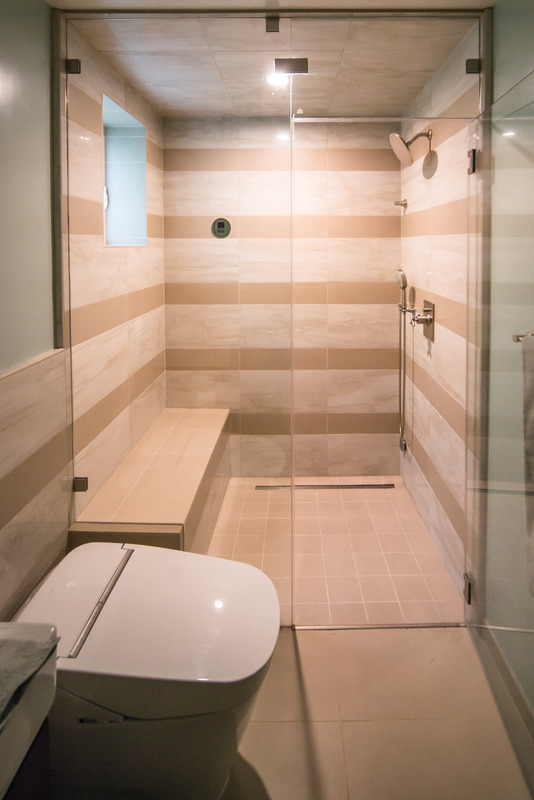 The panels actually consist of self-adhesive fabric that is eco-friendly, non-toxic, and free of PVC and phthalates. 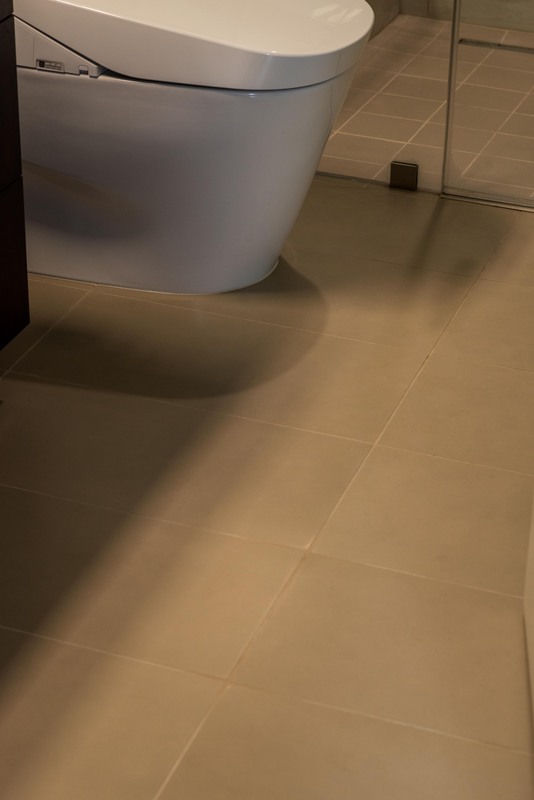 Although their “wallpaper” (described as Pattern Wall Tiles on their website) selection is limited, Blik offers some of the most unique designs on the market. 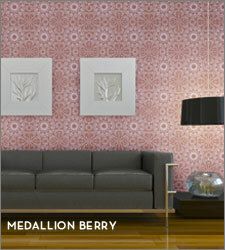 For a look that is a little less edgy but still colorful and contemporary, Tempaper has a wide selection of designs. 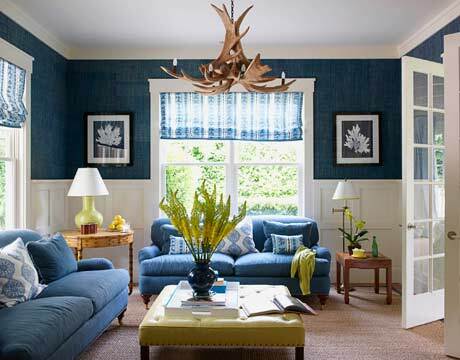 The oversize scale and unusual color combinations keep the more traditional patterns feeling fresh. 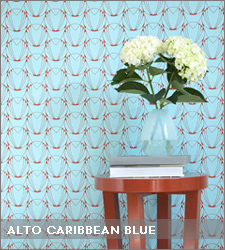 In addition to a wide range of florals, they also offer geometric, herringbone, and vertical stripe patterns. 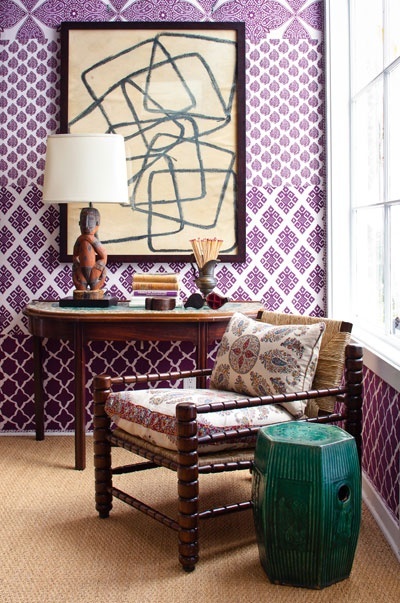 Established by a family of set decorators in New York City, Tempaper has been creating temporary adhesive wallpaper since 2008. 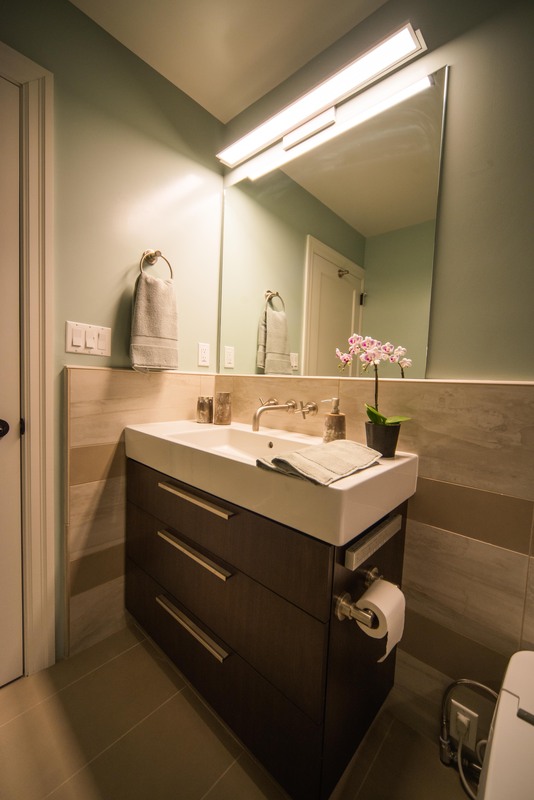 Their website includes a short demo video depicting installation, as well as a calculator to help you determine how much paper to order for your particular space. For those of you who are curious but may still be suffering from pattern commitment phobia, they offer inexpensive samples with free shipping. Order a few samples and test them out at home to see which design you like best. 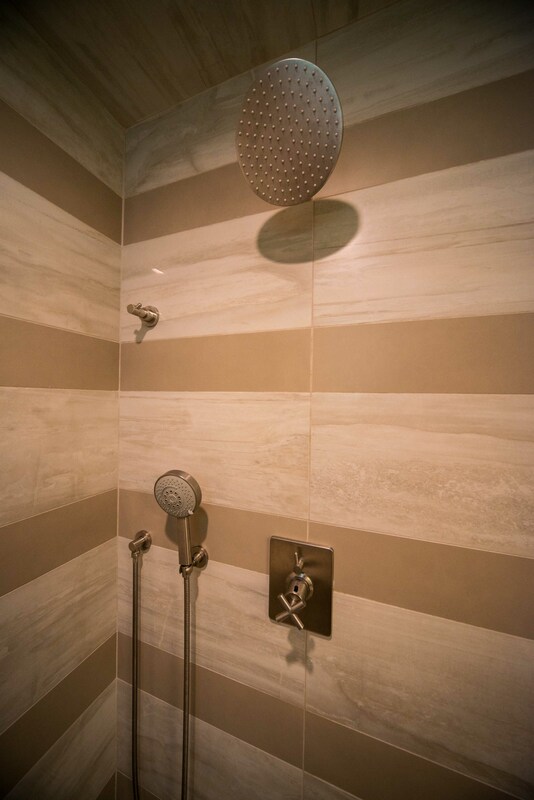 Keep in mind that Tempaper recommends you apply their wallpaper to clean, smooth surfaces that have been painted with an eggshell or satin finish. 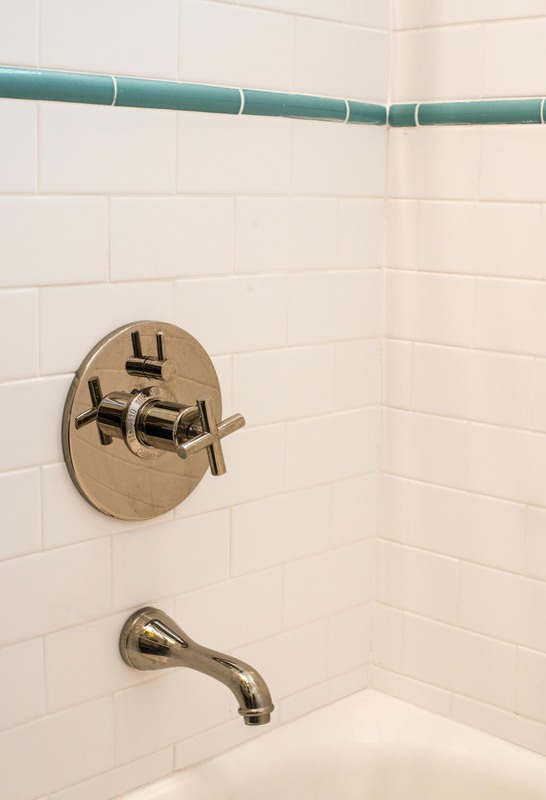 It can be applied in bathrooms or areas with indirect moisture and steam. 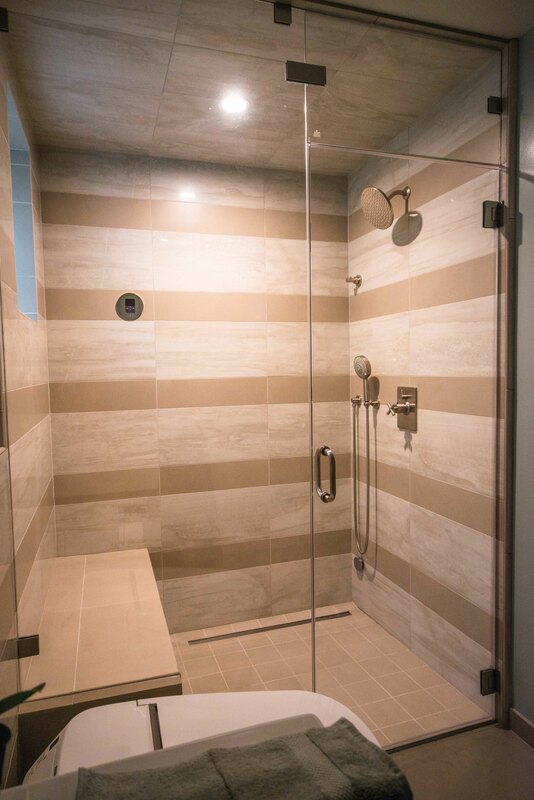 It is water-based and will not be affected by humidity. Wall decal manufacturers have been offering a large selection of children’s wall decals for years, but peel-and-stick wallpaper specifically for nurseries and kid’s rooms is a relatively new invention. 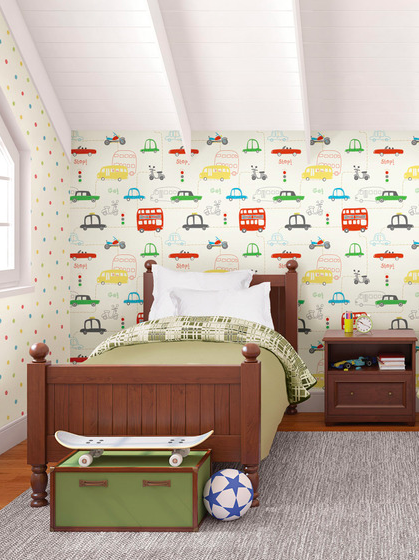 They make it quick and easy for you to cover an entire wall with cute and cheerful patterns that will bring instant energy to your child’s room. 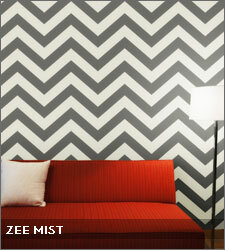 WallPOPs, one of the most popular wall decal brands, has just come out with a new line of peel-and-stick wallpaper. Although I wasn’t able to find it on WallPOPs own website yet, you can currently purchase the wallpaper patterns through Gilt. 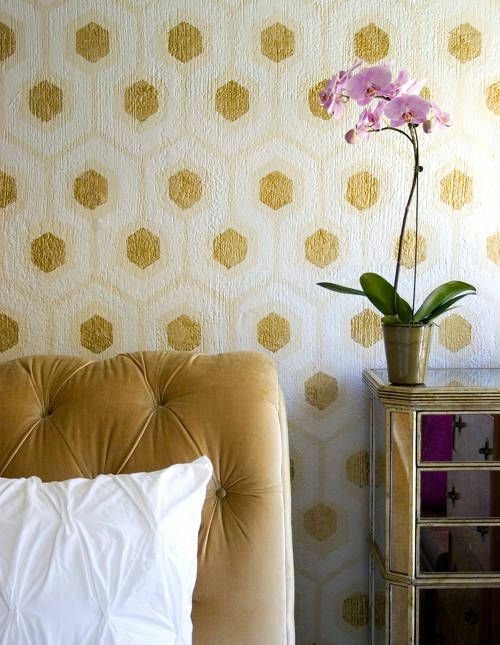 For best results when hanging peel-and-stick wallpaper, don’t remove the backing all at once. 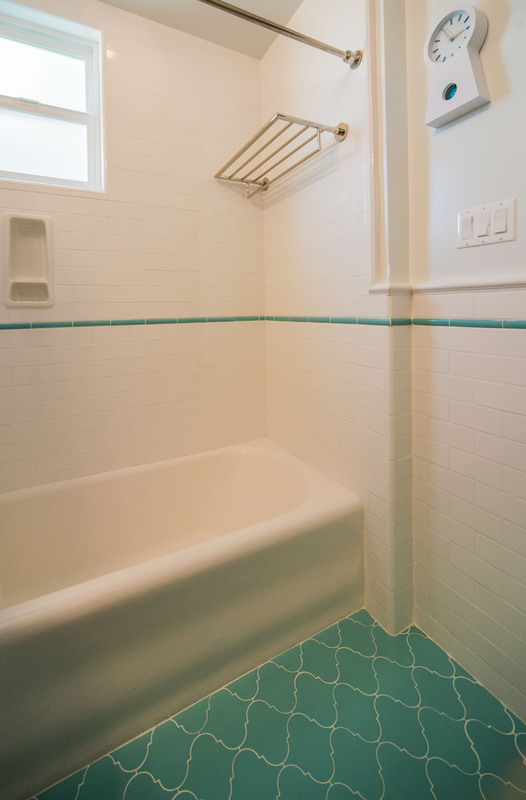 Starting at the top of the wall, remove one foot at a time and adhere that portion to the wall. Peel away additional backing as you go, working your way down the wall. Smooth out bubbles as you go, lifting and repositioning paper if necessary. 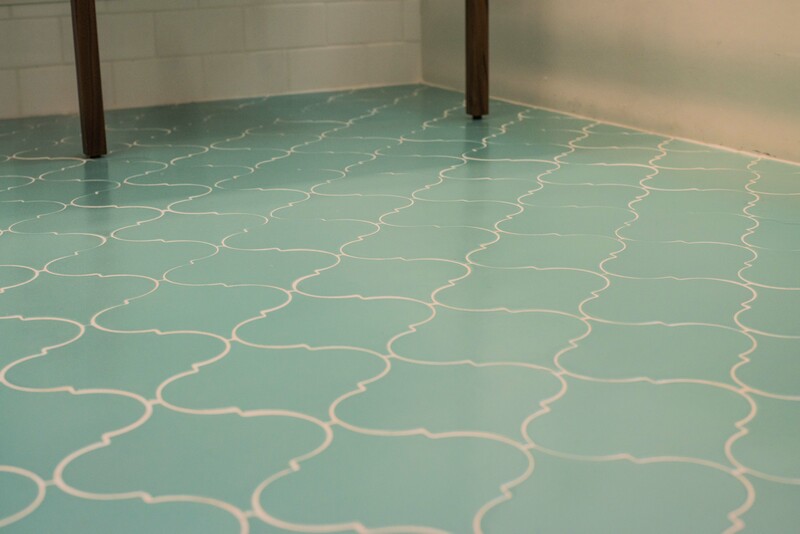 Use an Xacto blade or similar razor to trim away extra paper from baseboards and corners. Once finished, roll up the backing and save it in case you need to take down the wallpaper and store it for future use. What’s inspiring me right now? Emerald Green! Pantone, the master of all colors, declared Emerald (specifically, Pantone 17-5641 Emerald) to be the 2013 Color of the Year back in early December. 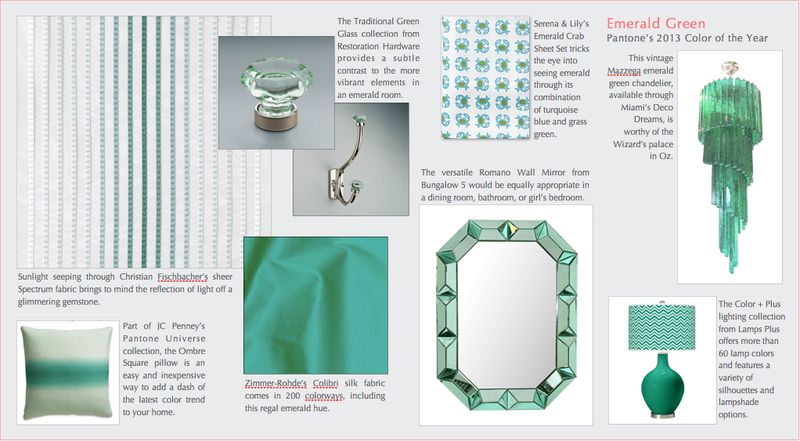 Despite being the “it” color for more than three months now, emerald green home decor remains difficult to find. 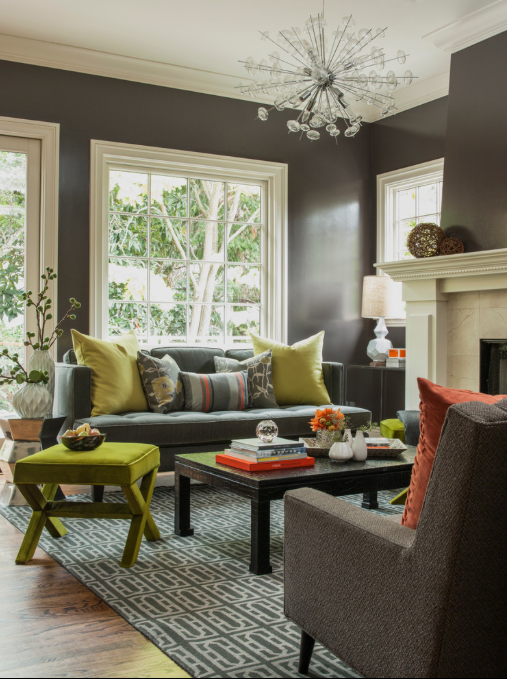 The brighter shades of green, such as lime, apple, grass, and avocado, have long dominated the home furnishings market. 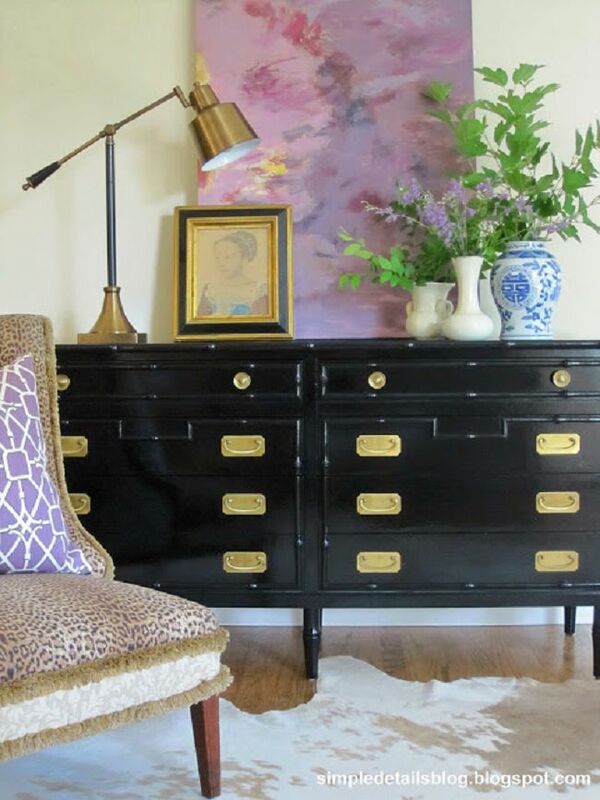 Nonetheless, a thorough search can lead you to some gorgeous items. Hovering between green and blue, emerald is an enchanting and unexpected hue. 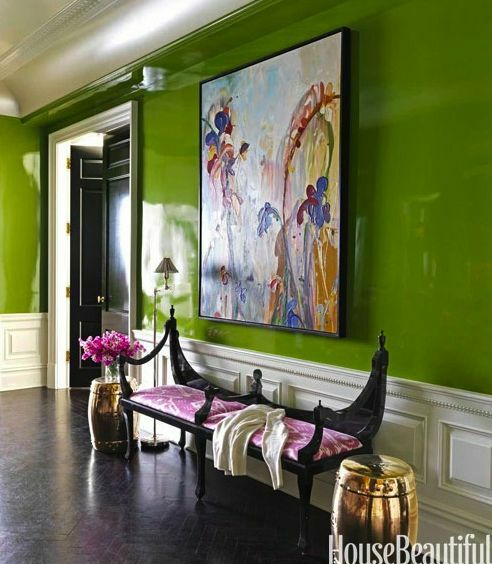 Add some simple emerald accents to your existing decor, or go full impact (wallpaper, paint, lacquered woodwork, etc.) 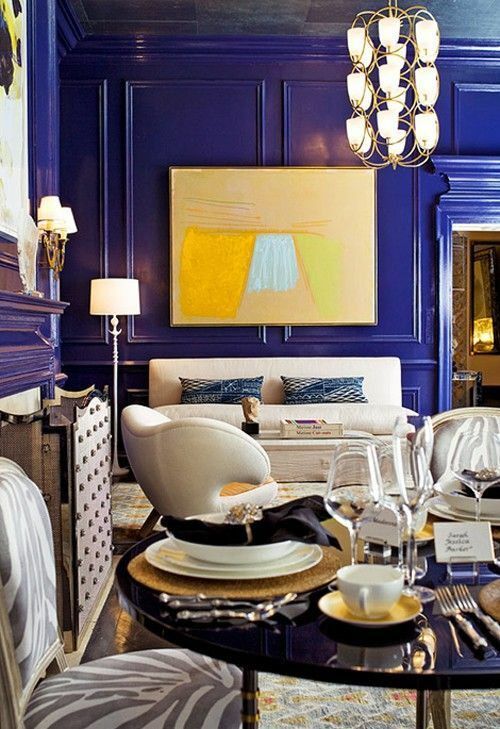 for a genuinely bold room.